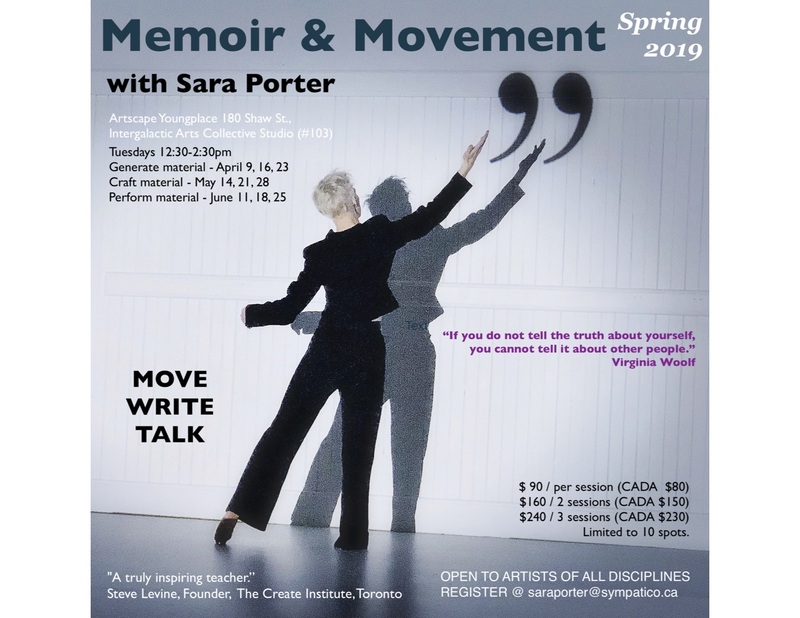 Sara Porter leads dynamic studio sessions that have you moving, remembering, writing, voicing, discussing, editing, playing, staging. You will build written and movement material toward performance, play with craft, explore performing & choreographic possibility. Come draw on your stories. MOVE – TALK – WRITE – PLAY.